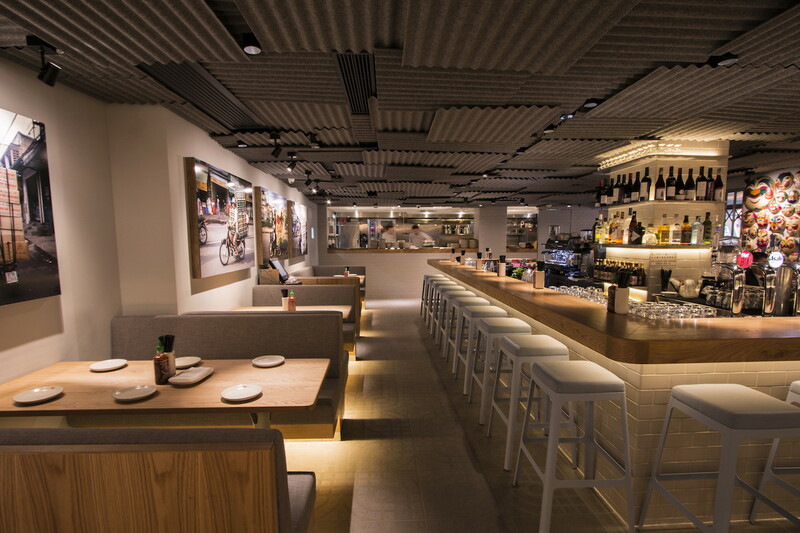 Located in the heart of Central, the 88-seat Viet Kitchen serves lunch and dinner at the lobby of the Nexxus Building, 41 Connaught Road Central. Open daily from Monday – Sunday, 11am-10pm, Viet Kitchen delivers a reinterpretation of Vietnamese culinary traditions. 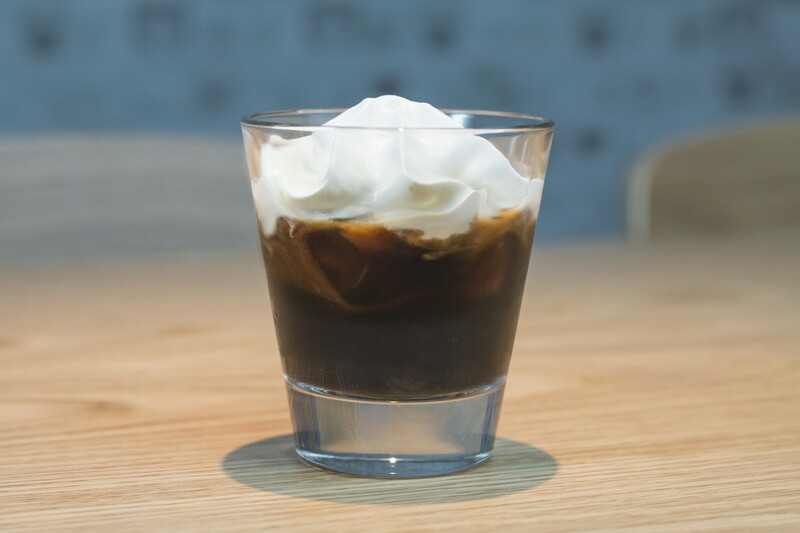 Helmed by multiple award-winning Chef Peter Cuong Franklin, who was born in Central Vietnam and educated in America, this chef is beloved in this city after bringing the popular Chom Chom to Hong Kong streets. 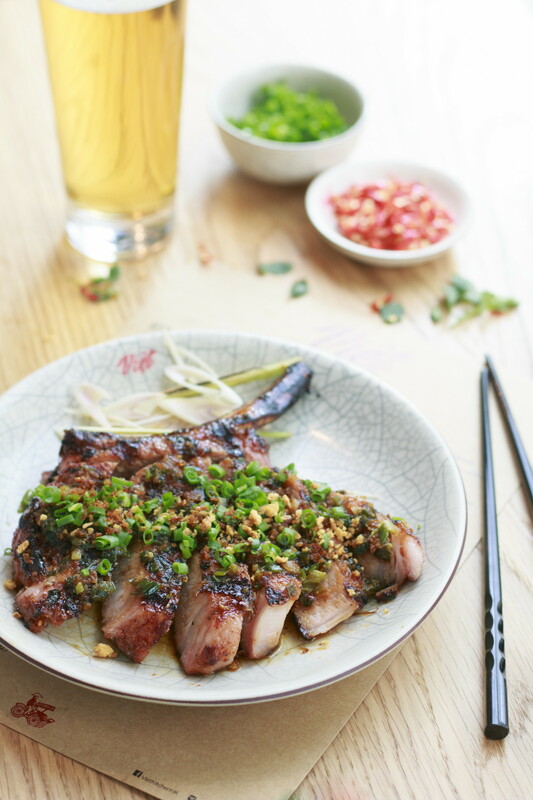 The restaurant will be serving starters such as the steamed pork and shrimp ravioli and caramel chicken wings, hearty large plates like the grilled lemongrass Korubuta pork chop (pictured left) and wok-fried clams with lime butter sauce and drinks which include the revitalising Vietnamese iced coffee (below). Lovely vegetarian options exist too, like the lemongrass crispy silken tofu and the sweet corn and mushroom salad (feature image). Featuring both the North and South cooking styles in Hanoi Chicken Phở, Saigon Beef Phở and Roast Duck Phở, phở lovers will welcome the comprehensiveness and diversity of this Vietnamese national icon found only in Viet Kitchen. From now until the end of May, Viet Kitchen is introducing a “Phở Flight” tasting experience (pictured right) to guests. 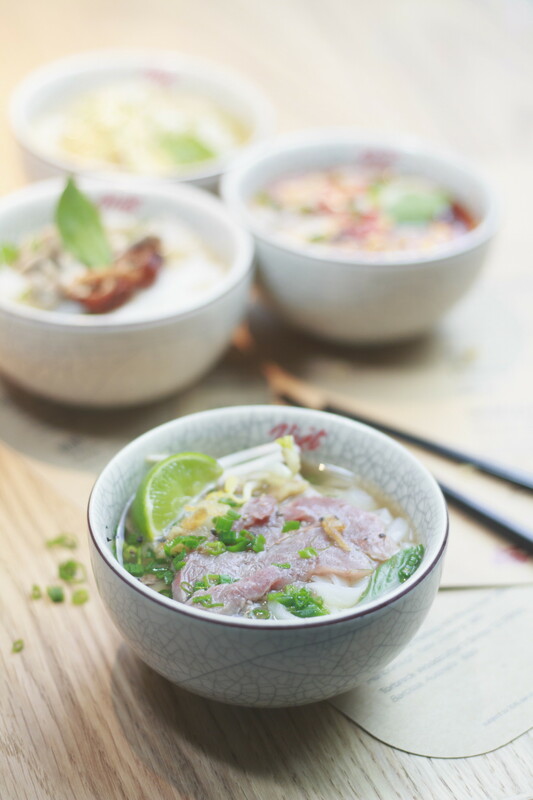 Priced at $88 (plus 10% service), guests can enjoy a set of four mini bowls of noodle soup – Hanoi Chicken Phở, Saigon Be ef Phở, Hue Spicy Beef & Pork Phở, and Roast Duck Phở. Great for a chance to taste them all and see which preference will become the weekly lunch favourite!